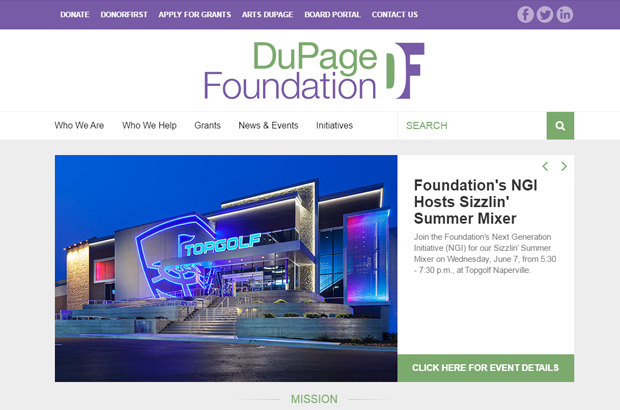 DOWNERS GROVE, Illinois—The DuPage Foundation is pleased to announce the debut of its new website, www.dupagefoundation.org. Officially launched on June 2, the refreshed and fully-responsive site provides both longtime Foundation constituents and first-time visitors with a plethora of new content at their fingertips in a format that is streamlined and highly accessible. During the past year, the Foundation’s Advancement team collaborated with the Marketing Committee and staff to tackle the task of revamping and optimizing the Foundation’s online presence to better serve its constituents. With the new website, the Foundation can spotlight upcoming events and important news with engaging visuals on its home page. 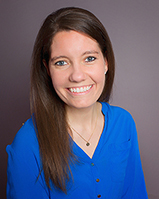 Under “Who We Are,” visitors can read powerful, personal testimonials from Foundation donors, agency partners and professional advisors communicating their unique stories. Under “Who We Help,” donors, not-for-profits and professional advisors can each learn about the many ways the Foundation can help them accomplish their goals and assist their clients. The new “Grants” section highlights the impact of the Foundation’s grant programs, promotes funding opportunities and provides easy access to our online grant portal. “News & Events” includes a compendium of recent news announcements, publications, press coverage and upcoming events. Finally, the new “Initiatives” section highlights the Foundation’s efforts through its Arts DuPage, Bright & Early DuPage and Next Generation Initiative (NGI).